Ok, so as much as the Microsoft tablet announcement seemed potentially poised to do something even more unsettling to the small tablet market than Amazon’s $199 Kindle Fire pricing could accomplish, the danger has mostly passed. There is no way that either of the versions of Microsoft’s new Surface tablet are going to be priced comparably to consumption-specific tablets any time soon. They do bring a few things to the table that might make people think twice about bringing anything else into an academic situation, though. That could be bad news for the Kindle given Amazon’s emphasis on academic applications for their devices. 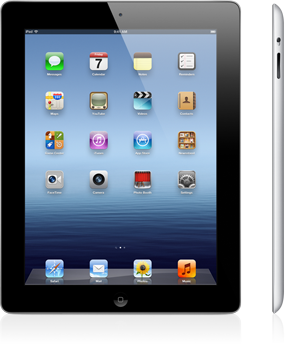 While many students couldn’t afford something like an iPad in addition to their computer, a tablet like the Surface has the potential to let students do without a computer while still retaining much of the functionality of a Kindle Fire type of device. Looking specifically at the ARM-driven Windows RT model, which will be the first to become available, there are really interesting things going on. No, it will not have anything approximating an E Ink display, but it will come with a 10.6” HD screen. 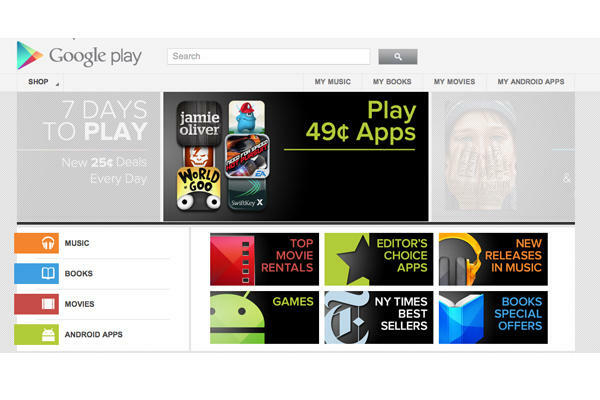 That’s going to make a big difference for everything from movie viewing to game playing. On top of that, the device integrates two digitizers. One of those handles normal touch behavior while the other is specific to stylus contact. 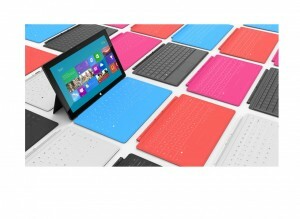 In the event you are writing with a stylus, the Surface knows to ignore your fingers so that you can write naturally. This will be huge for everything from in-text annotation to general note taking. Comfortable one-handed scribbling on the go might finally be possible on a tablet. 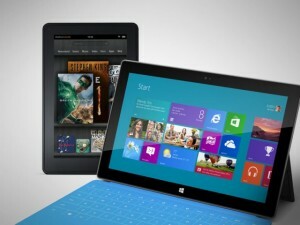 For media, the Microsoft tablet will have outputs so that you can put your video on an HDTV or monitor as desired. This was an important enough feature that they practically opened the reveal by talking about how there would be a Netflix app available at launch. It is also something that the Kindle Fire has definitely been missing. It will, as always, come down to price. Right now we know nothing besides that the Surface for Windows RT will be priced close to comparable ARM tablet alternatives. That probably means that it will run at least $400. In that case, Amazon has little to worry about among their primary customers. 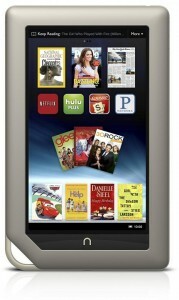 The biggest concern is going to be when Amazon reveals their new Kindle Fire later this year. A 10.1” Kindle Fire would be nice, but if it doesn’t significantly undercut both the iPad 2 and the Surface then there will be trouble. I love the tight integration that Amazon has given their tablet, but when you have something that is literally intended to be a complete PC you don’t need that. The best we can hope for is that Amazon will stick to their undercutting strategy and market the newer, larger model of the Kindle Fire for something like $250 to maintain its position as a valid alternative for the consumer on a budget. While the Nook Tablet has done moderately well, especially compared to many other budget tablets in the same price range, it has not proven to be the substantial threat to the Kindle Fire that many hoped it would be. 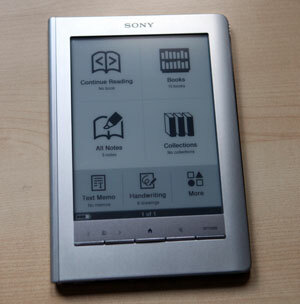 There was never a chance that the new market would make this Nook a Kindle killer, but the fact that competition has been so one-sided thus far is almost disappointing. While it may not be enough to turn things around entirely, however, Barnes & Noble has done a couple things lately to keep their product line in the game. Most interesting of these, especially for existing and prospective Nook owners, is the memory reallocation program they have begun. If somebody has a Nook Tablet with 16GB of storage space, they are now able to go into any Barnes & Noble location and get their internal storage settings changed to allow for 8GB of usable space. While it is hardly the freedom to use all of the hardware you paid for that many would prefer, 8GB of free space is more than the Kindle Fire offers and definitely more in line with what customers were expecting when they picked up the tablet in the first place. Including all that storage space and locking customers out of using it was simply a dumb move. To overcome the price disparity between their own line and Amazon’s, B&N has released an 8GB model that matches the $200 Kindle Fire price. 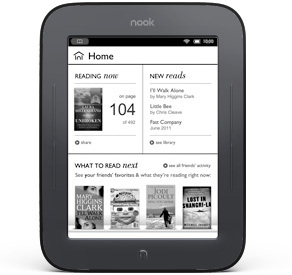 We’ve been over this a bit in previous posts, but the significance cannot be overlooked since the Nook’s hardware does have several advantages over the Kindle. Even more important, though less immediately available for analysis, there is reason to believe that the Nook Tablet will beat the Kindle Fire to the UK. There has been a great deal of anger directed at Amazon over the impressive amount of time they are taking to get their device anywhere outside of the US. For a company like Barnes & Noble, which has already gained a reputation for having minimal interest in international markets based on eReader sales, this would be quite a coup. Having the market essentially to itself would be nice for the Nook’s popularity, but the potential for fast-track progress to customer loyalty is even more important. In the end, the thing that the Kindle Fire has going for it is the same thing it has always had going for it. Amazon as a backer and the ecosystem they provide. Barnes & Noble can change their prices, fix their mistakes, and jump ahead in distribution all they want, but they can’t hope to come out on top without matching the Amazon back end. Whether they are willing to invest the time and effort into doing so, or even have the capability at this point, remains to be seen. It is always good news for customers when the competition heats up, though, so we can all hope that B&N will follow up these positive efforts with something that will require Amazon to step up their Kindle Fire game a bit in response.